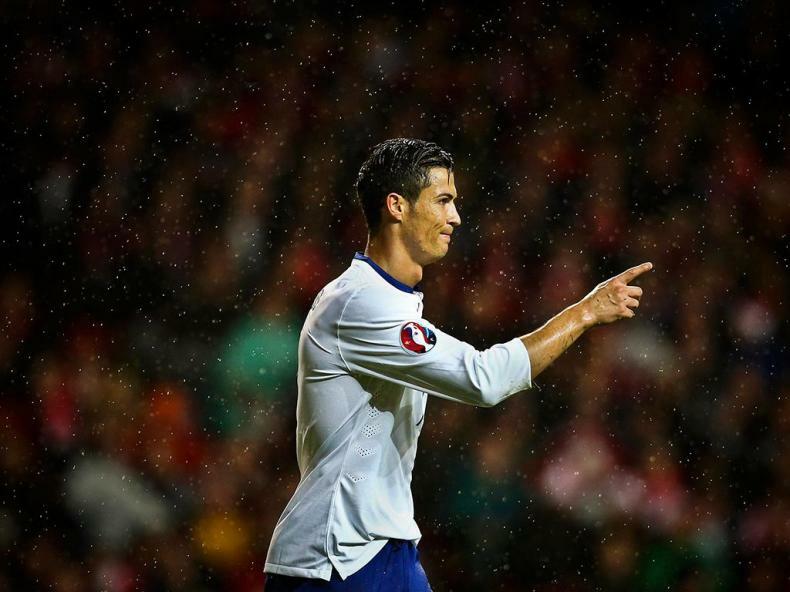 The Portuguese National Team will kick off their UEFA Euro 2016 qualification campaign tomorrow when they host Albania. Portugal is also joined in Group I by Denmark, Armenia, and Serbia. France will also play all of the teams in Group I, but the matches will not count towards the final group standings, as France is automatically qualified as host of Euro 2016. With Serbia, Denmark, and Armenia all wildcards capable of giving Portugal trouble, one feels that the matches against Albania are must-wins for the Portuguese. Paulo Bento named a decidedly new-look Portuguese team for this match, most likely as a response to team selection criticism after the World Cup. Bento has earned a reputation lately for being set in his ways. Many believe he is too much set in his ways, but the fact that he has stuck with players who are past their prime is one that cannot be overlooked. Players such as Raul Meireles, Helder Postiga, and Miguel Veloso have all seen better days, but are still automatic starters under Bento. Players such as William Carvalho, Jose Fonte, and Adrien Silva have been given few opportunities, despite stellar performances. In fact, with the example of Fonte and Adrien, Bento has not even selected these players, despite their solid performances in the Premier League and the Portuguese Liga, respectively. As the numbers show, the team that Bento named for tomorrow’s match is both drastically younger and more inexperienced. This decision to boot experience and age in favor of younger, more inexperienced players could prove to be a positive decision. The Portuguese are coming off of a tournament that they were expected to perform much better than they did. With their star man Cristiano Ronaldo seemingly at his height as a footballer at the age of 29, the 2014 World Cup was supposed to be Ronaldo’s. Portugal had an experienced team, which was led by arguably the finest player in the world at the time of the tournament, and the team was expected to beat out the United States and Ghana easily to earn a second-place spot behind Germany (at least) in Group G. The rest is history, and the decision by Bento now to bring in new faces suggests that he is preparing the team to move on and look ahead to future challenges (such as Euro 2016). Portugal last met Albania in qualification for the 2010 World Cup. At that time, the team was led by Carlos Queiroz, who if nothing else, instilled a defensive solidarity in the team. In the 10 matches during qualification, the team only conceded five goals in total. When the team met Albania in those qualifying matches, both teams’ tactics cancelled each other’s out. Both were defensive-leaning teams, and though Portugal possessed much greater talent, the outcomes were stale matches. The two times the teams played, the outcomes were a 0-0 draw and a last-minute 2-1 victory for Portugal. This time around, Portugal plays a much more open, attacking style of play, one that can be used towards a much more positive result against Albania. Though the team will be lacking their start man, Cristiano Ronaldo, there is no shortage of talent and dynamism in the team. As this is a qualification match, Paulo Bento will likely keep his experimenting to a minimum. Rui Patricio is a no-brainer to start in goal as a result of solid performances both for Sporting at the Seleccao recently. In front of Patricio will likely be a familiar back-line, something that Bento may be reluctant to change. Fabio Coentrao merits inclusion at left-back, while Joao Pereira could very well start on the right. There is a possibility that Joao Pereira could be benched in favor of Andre Almeida. Pereira’s future at Valencia is currently up in the air, and Bento has given hints that his starting spot is not set in stone. Pepe will likely start, seeing as he has been Real Madrid and Portugal’s starter for some time. The other center-back spot will likely come down between Ricardo Costa and Luis Neto. Though Ricardo Costa is 33 and not playing in a major league, Bento will likely choose him to start. In midfield, Bento will likely have learned his lesson with William Carvalho. Carvalho will most likely start ahead of Miguel Veloso. 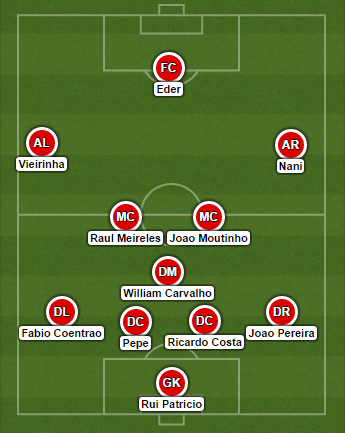 Ahead of Carvalho will likely be Raul Meireles and Joao Moutinho. Meireles, who is one of the players whose lackluster performances lately have been noticed, may be benched in favor of Adrien Silva, whose performances for Sporting have been wonderful. On the wings, Nani will likely resume his starting position, after playing regularly for Sporting. Filling the hole left by Ronaldo will likely be Vieirinha, who is impressing at Wolfsburg. Up top should be Eder, who is the team’s most viable option as striker. Bento has also hinted that Ivan Cavaleiro could be used as striker for the team, but it remains clear who will start. If the team can learn from its previous mistakes, Portugal should have no problem with this game. The fact that Bento is giving opportunities to younger players, the morale and drive of the team should be very high. A positive performance in this game could very well put their underwhelming performances at the World Cup behind them. Put simply, a win tomorrow can be the first step towards a new chapter in Portuguese football. The Portuguese National Team had to suffer through very likely the worst start to a World Cup possible on Monday when they succumbed to a 4-0 defeat at the hands of the Germans. Portugal have much work to do to salvage anything out of this World Cup, and with a number of players out of contention for the next games, the Seleccao is facing the toughest task in recent memory. The game started off brightly for both teams, with the contest largely even. This changed on the stroke of 10 minutes. Joao Pereira was wrestling Mario Gotze for the ball in the box, and a foul was called against Joao Pereira. The foul was justified, and Thomas Muller dispatched the spot kick, giving Germany an early 1-0 lead. The goal did not seem to take the wind out of Portugal’s sails, as the team continued to press, with Nani firing a shot narrowly over the German goal. But, alas, Germany proved too much for Portugal going forward. The Germans doubled their lead around the half-hour mark, with Mats Hummels heading in from a corner. And then, just minutes later an act of lunacy. Pepe held the ball in defense with Thomas Muller lurking. The German attempted to nick the ball from the Portuguese defender, only to go to ground from a presumed arm to the face. Apparently angry that Muller went to ground so easily, Pepe confronted the forward, who was sitting on the ground. Though there was slight contact, replays show that Pepe hit his head into Muller’s. It was an easy decision for the referee. Pepe was given a straight red, and Portugal were down to 10 men. And predictably from that point forward, it was one-way traffic in favor of the Germans. And it was Muller who struck again, smartly getting in front of Bruno Alves’ clearance to fire home and further pile on Portugal’s misery. Maybe the second half was better. Wrong. Paulo Bento took a more conservative approach in the second half. At half-time, the boss took off Miguel Veloso and added Ricardo Costa to fill the void that Pepe left. Though this reduced Portugal’s attack, it greatly repaired Portugal’s defense, which had been exploited heavily by Germany in the first half to great effect. One can only expect but so much from a team playing with 10 men against one of the favorites to win the tournament. The Portuguese did try to get forward, and it was Nani who was at the heart of many of Portugal’s plays in the second half, but the team could not manage to score. It was Germany who managed to score once more. A mistake from Andre Almeida, who had been substituted in for the injured Fabio Coentrao and a fumble from Rui Patricio gifted Muller another goal. The game ended an embarrassing 4-0 against Portugal, and as has been the case lately, there are more questions than answers. So, where does this leave Portugal? Essentially, Portugal MUST win their remaining two group stage matches against the USA and Ghana. The USA beat Ghana, so they will likely be eager to beat Portugal to automatically qualify before having to face Germany. Ghana will be licking their wounds, and will likely be gunning for a win against the Portuguese after their loss against the USA. Portugal finished their pre-World Cup tour of America in possibly the best fashion with a 5-1 demolition of Ireland at MetLife Stadium in New Jersey. Goals from Hugo Almeida (2), Fabio Coentrao, Vieirinha, and an Irish own goal contributed to the win. The wide winning margin was exactly what many speculated the team needed, after tepid performances against Greece and Mexico. The game saw Ronaldo, Raul Meireles, and Pepe all return to fitness after being out injured recently. And indeed our captain Ronaldo looked healthy and dangerous; exactly the two qualities the team needs from him most next week when Portugal kick off their World Cup campaign against Germany. Portugal coach Paulo Bento returned to his favored 4-3-3 formation. Returning to his no.1 position in goal was Rui Patricio. 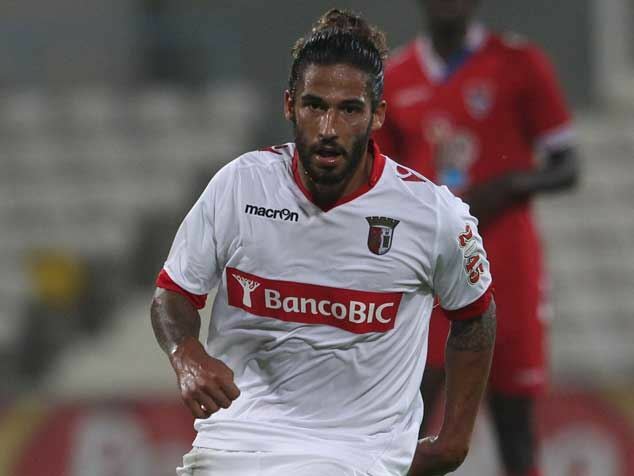 In front of him were Ruben Amorim (who is adept at playing at right-back) and Fabio Coentrao on the wings. In the middle of defense was Neto and Ricardo Costa, who were presumably fill-ins for Bruno Alves and Pepe. In midfield, Bento chose William Carvalho, Raul Meireles, and Joao Moutinho, who will most likely be the starting trio that represent Portugal’s midfield next week. On the wings were a fit-again Ronaldo and Varela. They were joined up top by Hugo Almeida. Regulars Bruno Alves and Joao Pereira were given a rest for the match, but all signs are pointing toward them starting in the Seleccao’s first match against Germany next week. The game started off brightly for the Portuguese. Within the first few minutes, the team was already 1-0 up. Great defensive work from Ruben Amorim released Varela on the right wing. The winger sent in a peach of a cross, which was met by the head of Hugo Almeida. After getting somewhat of a cushion in the form of that goal, Portugal seemed largely content with Ireland getting a hold on proceedings. But as is so common, Portugal attack against the run of play. Though Ireland was threatening, Portugal had a very good chance to double their advantage on the 13 minute mark. Some good work from Ronaldo opened room for a shot, which was parried by the Ireland goalkeeper. The rebound fell to Varela, who had the presence of mind to pick out the onrushing Raul Meireles. The midfielder’s fierce shot was well-saved, and the ball went behind for a corner kick. From the resulting kick, Hugo Almeida came within inches of doubling Portugal’s lead. From that point forward, it was largely one-way traffic. Ronaldo hit the post with another of his wonderful trademark free kicks minutes later, and it was the Real Madrid man who played a bit part in the second goal. A run forward from Coentrao was picked out by a wonderful back-heel pass from Ronaldo. The left-back crossed, and the ball took a fortunate deflection off Ireland defender Richard Keogh and looped into the back of the net. Portugal continued to press, and were rewarded once again fifteen minutes later. Varela sent in a peach of a cross, which was met by the head of Ronaldo. The star man’s header was pushed away by the Irish goalkeeper, but Hugo Almeida was there to apply the finishing touch. It was the team’s third, and Almeida’s second of the night. That proved to be the last clear-cut chance of the half. Both teams went into the locker room with Portugal leading convincingly 3-0. As could be expected, Ireland caused Portugal headaches early in the second half. And the Irish were rewarded for their hard work just 6 minutes after the restart. A well-worked set piece set winger James McClean free on the right. A simple cut-in allowed him the space to fire home past Rui Patricio. Later in the second-half, as is typical in international friendlies, there was a mass substitution. Among the players to leave the field was Ronaldo, who had performed admirably though not fully fit. Nani replaced the Real Madrid forward and was at the heart of the rest of Portugal’s forays forward. Ireland continued to threaten, and seemed determined to improve upon the momentum from their goal. Portugal managed to hold them off, and counter struck in the 77th minute. A superb cross-field pass from Joao Moutinho was taken perfectly in stride by Nani, who was motoring down the left wing. The winger took his time, and picked out the run of Vieirinha perfectly. The Wolfsburg man’s header was well saved, but he made no mistake with the rebound, shooting past the Ireland goalkeeper to record his first goal for Portugal, and stretch the scoreline to an impressive 4-1. And it was Nani at the heart of Portugal’s final goal just a few minutes later. The winger picked up the ball on the left wing once again, and instead of pressing forward, stalled a bit, and picked out the on-rushing Fabio Coentrao. The Real Madrid defender poked the ball home impressively with his right toe, and just like that, Portugal were up 5-1. And soon after, Nani was once again at the heart of another Portuguese move, and possibly one of the most exciting of which all night. The winger picked up the ball on his favored left side, and made a mazing run, playing one-two pass after one-two pass with his teammates before laying the ball off to Joao Moutinho. Moutinho dinked through a wonderful split ball to Vieirinha, whose square pass was back-heeled into the net by Nani. Alas, the wonderful move was correctly adjudged to be offside, but the point was clear. Portugal can be a mesmerizingly wonderful team. Click here to see the chance. Much of the talk lately surrounding Portugal has been over the fitness of star man Cristiano Ronaldo. The buzz is warranted. Ronaldo won World Player of the Year for 2013, and is fresh off winning the Champions League with Real Madrid. His performances for Portugal under Paulo Bento have been nothing short of spectacular, recently surpassing Pauleta as Portugal’s all-time leading goalscorer. He is undoubtedly an important piece to the puzzle. But he is not the puzzle. Yes, he is the best player in the world. Yes he has the ability to change games; to improve the quality of play; to make a difference. But pundits under-emphasize the importance of the team around him. Portugal, as a collective, is one of the most complete sides in the world currently. The team that Portugal will likely field against Germany is almost identical to the one that was named when we faced Germany at Euro 2012. The team has played together for years now, and is well-versed in the formation and tactics that Paulo Bento uses. But Portugal is not stagnant. The team has a good mix of youth and experience. Players such as Rafa and William Carvalho are wild-cards. Having not been in the international spotlight for their talent can be an asset for Portugal. Other teams won’t exactly know how to handle Rafa at full speed or William Carvalho at full-stretch. I think for people to label Portugal as a one-trick pony, and the trick to be Ronaldo, is a mistake. There is much more to a team than one man. This game highlighted this point well. Ronaldo was involved directly in two of the goals (the second and third), but Varela carved out a chance for the first goal. Nani made the chances for the other two goals. 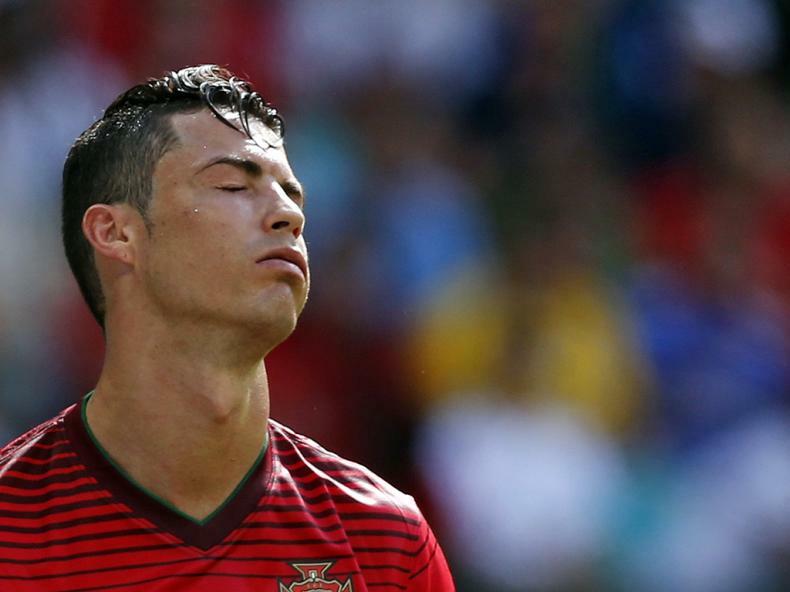 A no-Ronaldo Portugal is still capable of playing beautiful, flowing football. Ronaldo is important, but just as important are the collective around him.